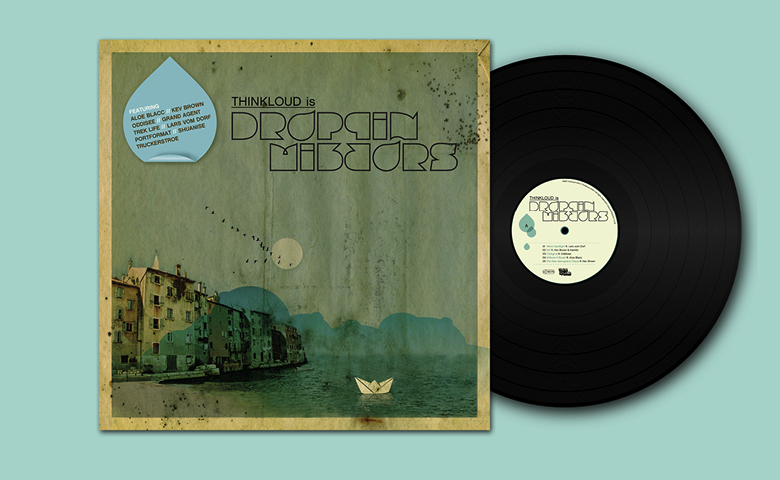 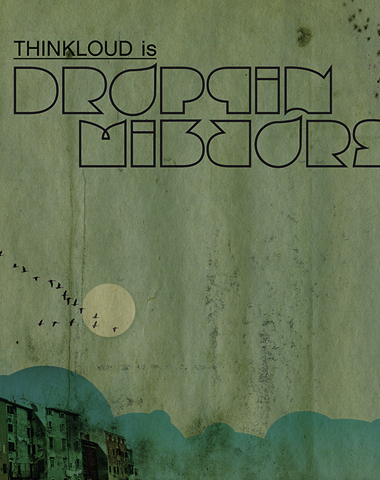 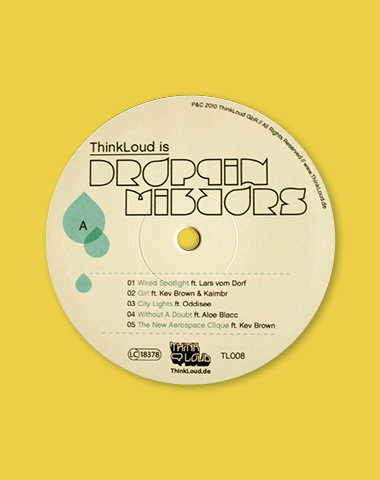 ThinkLoud Records asked us to develop the graphics for their Droppin Mirrors CD and LP. 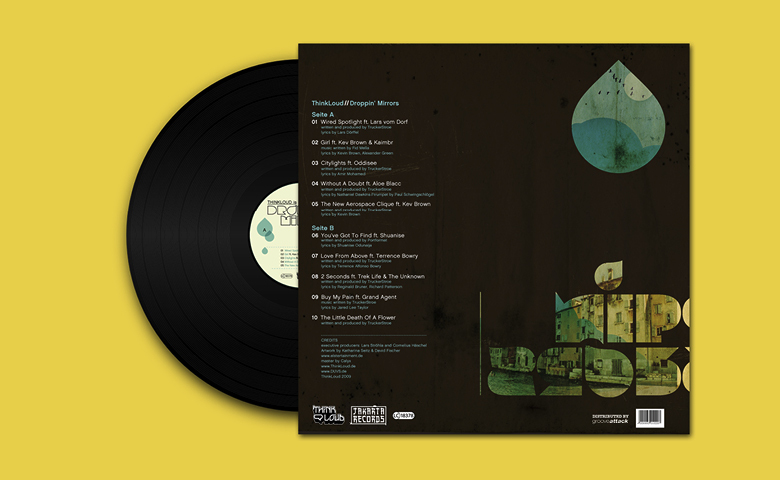 Throwing together a mixture of found old papersheets, photographies from our archive and a lot of different little bits and pieces we created collage style graphics for the sleeve and the inlays and topped that with a self crafted outline font. 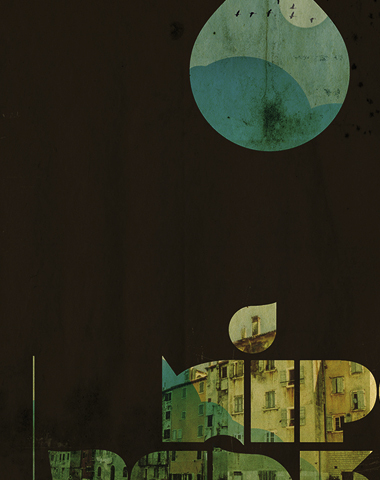 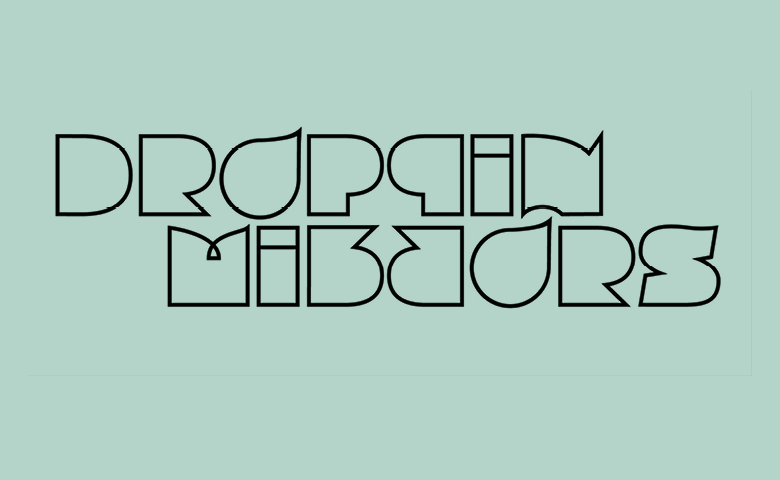 The idea was to visualize the title Dropping Mirrors in the type itself and to create a formal contrast to the collage style of the background.